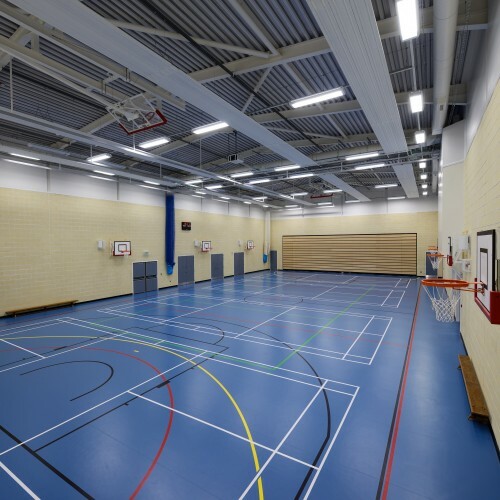 The scheme is designed to enhance indoor and all-weather sporting facilities at the mixed, selective 11-18 grammar school, which dates back to 1554. 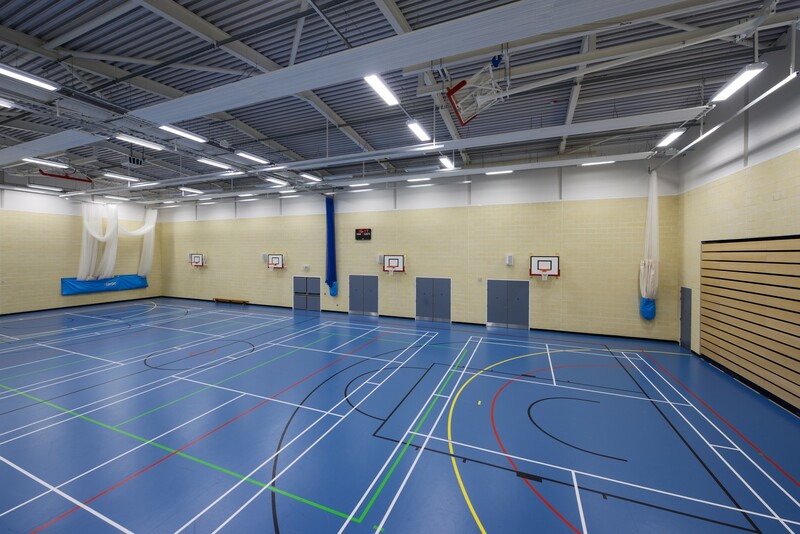 Complementing an existing gym, tennis courts and a full-size 3G all-weather pitch completed in January 2011, the new sports hall has been constructed in the south western corner of the school’s Chatburn Road site and is set to dramatically improve and broaden indoor sports choice and provision at the school. 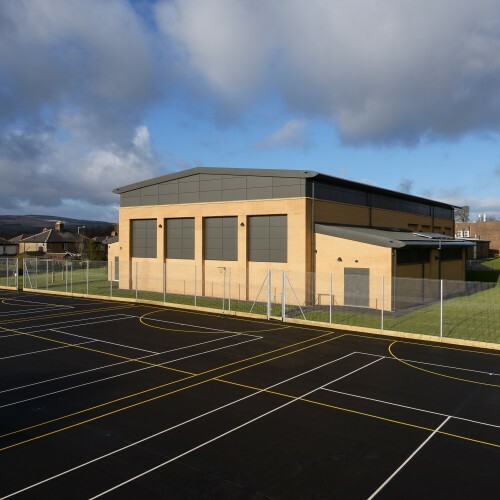 Judith Child, Headteacher at Clitheroe Royal Grammar School, said: “A new sports hall has been a priority for many years but funding has never been available to realise that goal. 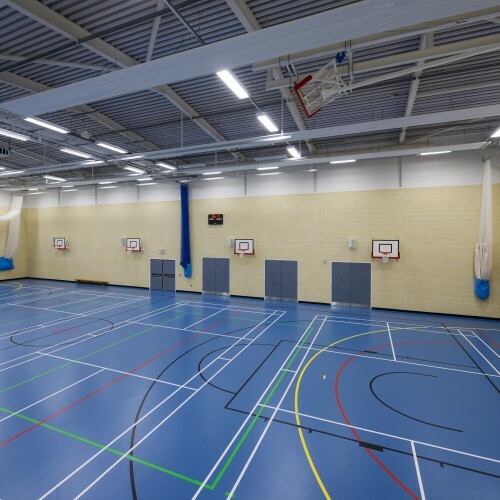 “Academically we are a very high-achieving school and always appear within the top 50 schools in the national league tables but we have always been constrained by a lack of indoor sports provision, until now. 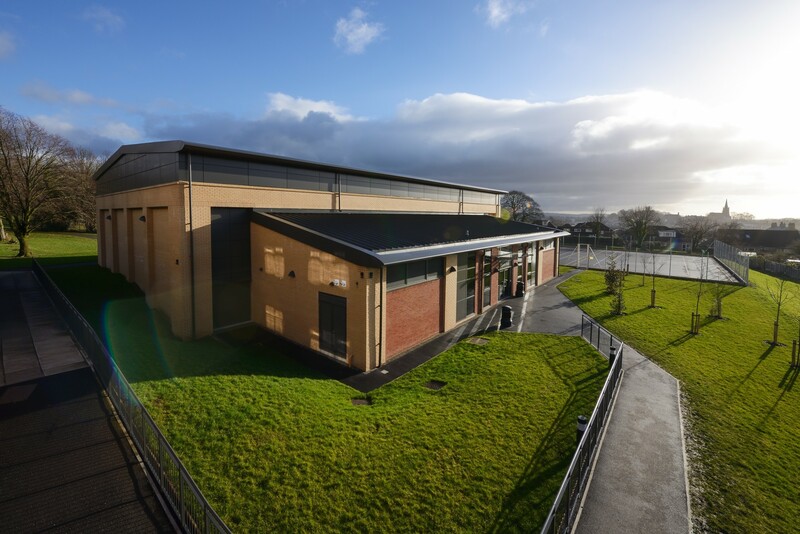 Clitheroe Royal Grammar School is one of the few schools in Lancashire without a dedicated sports centre so, over the past year, we have had a substantial fund raising drive that has involved students, staff, parents, alumni and friends of the school. 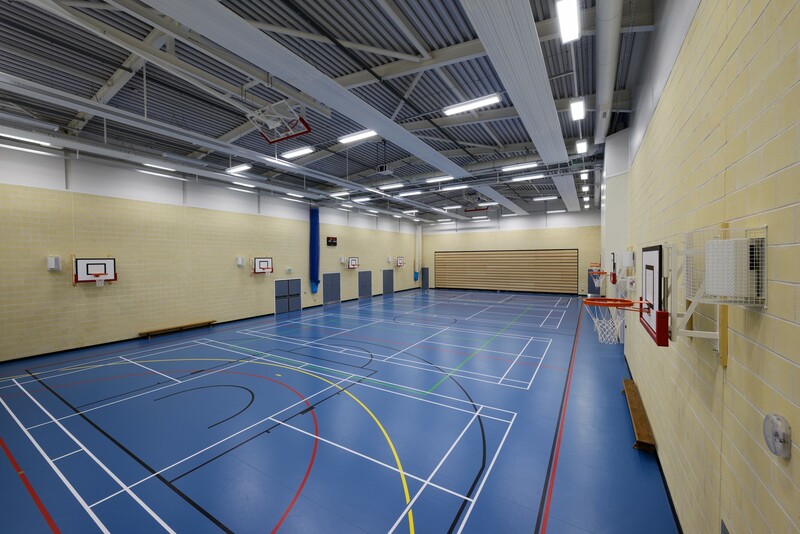 The building creates an environment for a wide range of sports, including badminton, five-a-side football, tennis, mini-tennis, netball, basketball and cricket, the new sports hall will feature retractable seating for up to 270 spectators and will also be suitable for use as a meeting space. 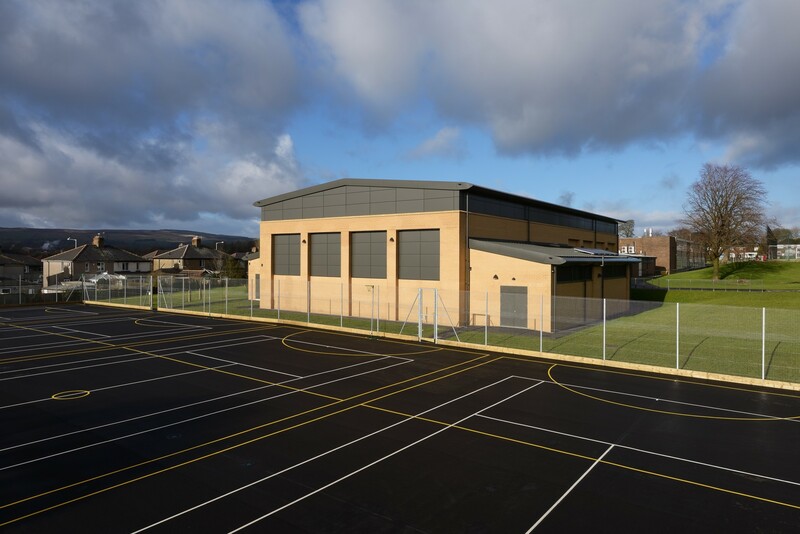 The main, double-height gymnasium will be served by an entrance foyer, a small office, student and staff changing areas and an associated plant room, with two storage rooms located to the rear of the building. 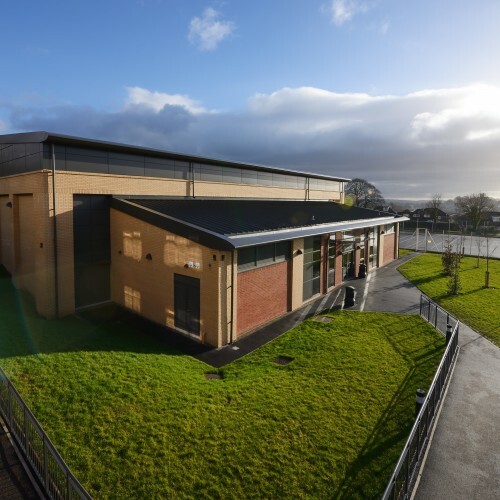 The Cassidy + Ashton team has used the existing topography of the site and designed the building to cut into the banking to minimise the height of the new sports hall. 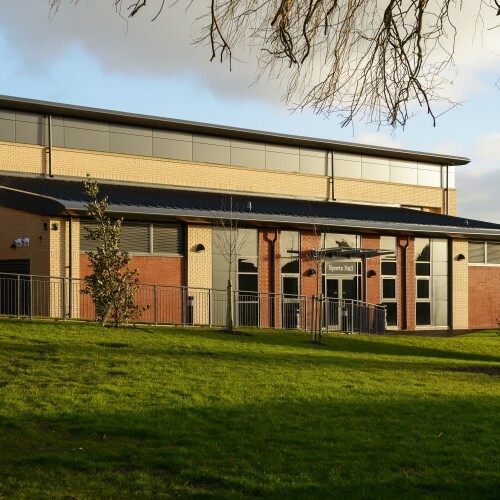 As a result, it will rise to a maximum height of 12.53 metres, sitting lower than the existing school buildings on the site while meeting Sport England requirements. 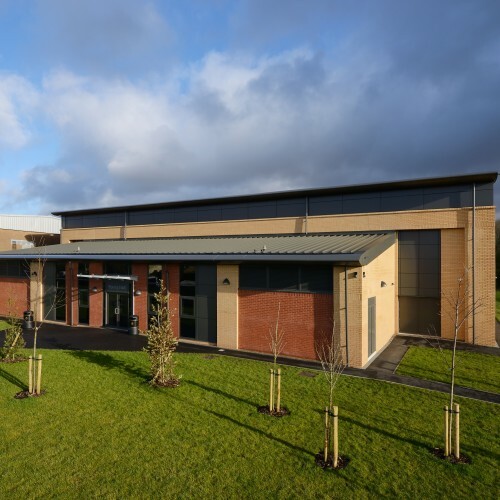 Dan Brown, project architect at Cassidy + Ashton said: “We have designed the scheme to fit naturally into the local landscape by selecting sympathetic materials and finishes. 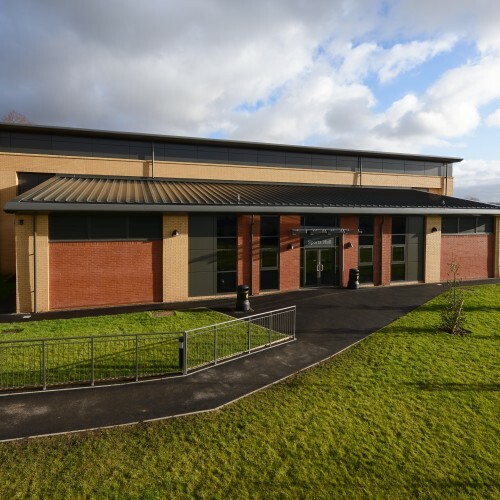 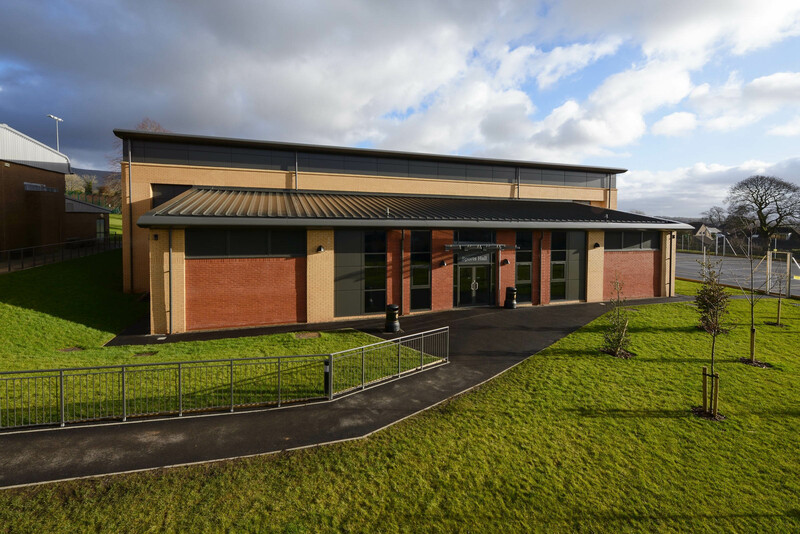 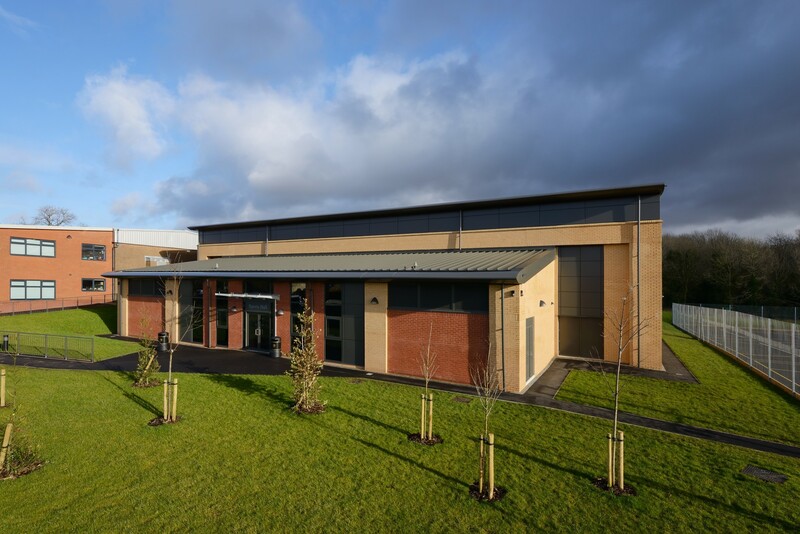 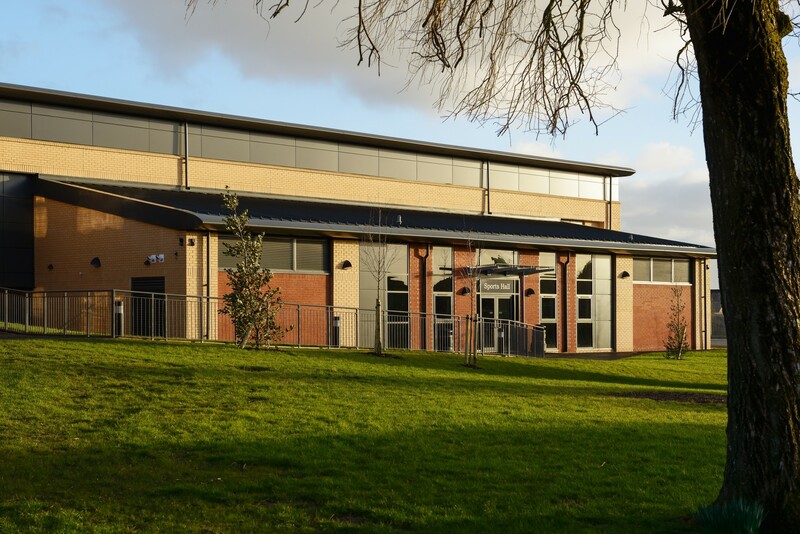 These include a mix of buff-coloured brickwork, aluminium cladding and glazing for the main elevations, complementing the existing school buildings while providing a functional, contemporary facility.